The COPA Flight Safety Foundation provides a variety of aviation safety related educational and training services to the Canadian general aviation community and relies exclusively on donations to fund these services. The Foundation is a registered charity and tax receipts are issued for all donations over $10. The Foundation also administers the Neil Armstrong Scholarship Fund which promotes Canadian pilot development by providing annual scholarships to student pilots in both ab initio and advanced flight training programs. Check out the Scholarships page for more information. You can make a donation at any time by either completing one of spaces on the online membership renewal form or when you receive it in mail, by calling the office, or sending a cheque by mail to the office, or click here for the online form. The government recognizes the value of charitable donations and provides tax benefits for those who give. Planned charitable giving involves evaluating various options for giving gifts of cash, securities, real estate or any type of personal or cultural property to a registered charity, now and in the future. You can make such a donation at any time and you will receive a donation receipt equal to the cash value or the fair market value of your donation. Because different options for giving have different tax implication we recommend that you consult your financial advisor to pick the method that will be most beneficial to you. An immediate cash gift is the simplest and most common charitable gift. The tax receipts are normally used to offset taxes payable in the same year. The federal budget of May 2006 eliminated capital gains tax on gifts of publicly traded securities to a charity. This is a very attractive option for those who have publicly traded securities that have appreciated and have accumulated a tax liability. When ownership of securities is transferred to the Foundation, the donor does not incur capital gains tax and will receive a tax deduction for the market value of the transfer. The charity then realizes a cash benefit by selling the securities. Depending on the amount of appreciation, donors can realize considerable tax benefits from this type of donation. This donation must be an “in kind” transfer of the security itself, not the cash proceeds of the sale of the security. 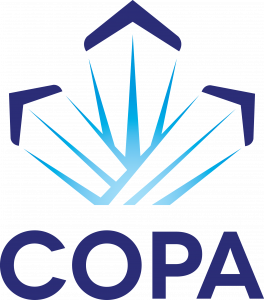 Contact COPA for a form to accomplish this transfer. Life insurance is a way to make a significant future gift at an affordable current cost without reducing the future value of your estate. You can transfer a life insurance policy to the Foundation and you will receive a donation receipt for the cash surrender value of the policy. As well, if you continue paying premiums, you will receive an annual tax receipt for these premiums. When you die, the charity receives the face value of the policy. Alternatively you can take out a new life insurance policy at any time with the charity as the owner and pay the premiums, for which you will receive annual tax receipts. Specific gifts of cash, securities or assets, or a percentage of the remaining estate can be bequeathed to the Foundation in your will. Your estate will receive a donation receipt for the value of your gift to reduce the tax payable on your final tax return. In this case your beneficiaries will benefit from the tax savings. If you are able to make a very large donation you may wish to consider your own named endowment fund. Endowment funds are invested securely to generate on-going annual income in support of the Foundation’s work. Contact COPA to discuss this option. Honour a family member, a friend or a colleague who has passed away by making a donation on his or her behalf through the In Memoriam Program. An In Memoriam donation is a thoughtful way to keep someone’s memory alive while continuing to support the cause they cherished in life. Each generous donation helps support the training of Canadian pilots. With a donation of $25 or more, your recipient will receive a personalized card letting them know you’ve made a donation on their behalf. Click here to make an In Memoriam donation.